You know the feeling when you find something incredible and can’t wait to tell someone? 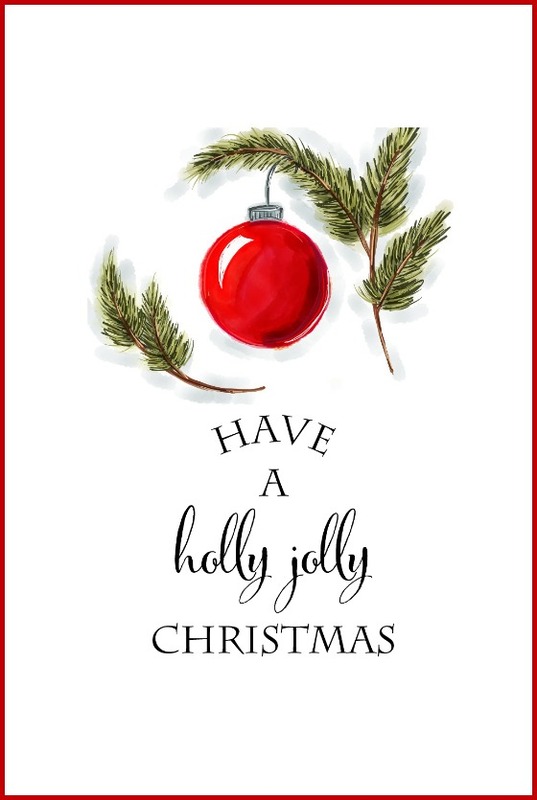 That’s how I felt when I was roaming around Etsy and found some darling Christmas graphics at Tracey Gurley Designs. 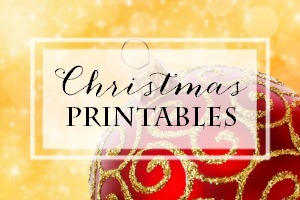 I had been looking for something special for this first batch of free Christmas printables. As soon as I saw her watercolors, I wrote to Tracey and she graciously gave me permission to use them. You all know how I feel about watercolors…so I was thrilled. 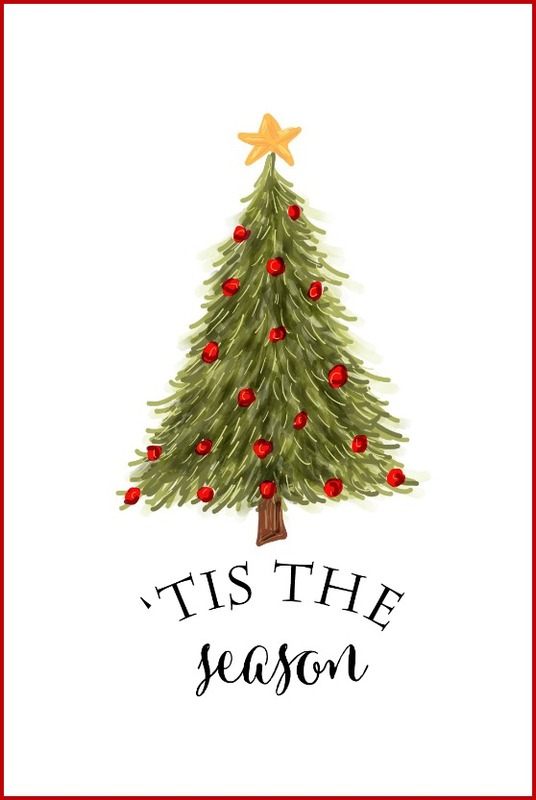 I made three coordinating Christmas printables that you can use as DIY wall art, for cards, screensavers or gift tags. I hadn’t started my Christmas decorating yet so I printed these out and framed them for my entry. I did the same thing last year (see it HERE) and it was zero dollars to switch out the printables. 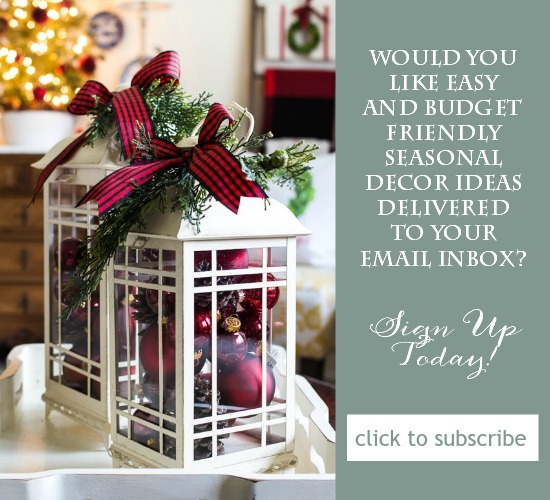 A totally new look for no money…plus it got me motivated to continue decking the halls. Sometimes getting started is the hardest part. Graphics purchased and used with permission from Tracey Gurley Designs on Etsy. 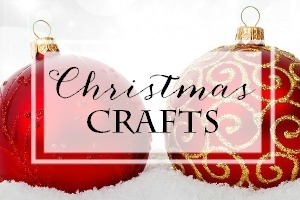 Tracey also has free printables on her blog, Tracey Gurley. I wrote my reply below before I noticed this comment section at the beginning. Well I don’t mind commenting again as you are so sweet to share. Thank you so much. The prints are lovely. Thanks so much for these! They are beautiful, and I’m off to print! Thank you so much for offering these beautiful prints!! I LOVE THEM! 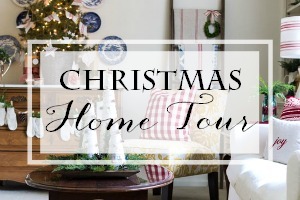 Thank you for sharing your home so beautifully decorated for the holidays! I can always find inspiration for my own. 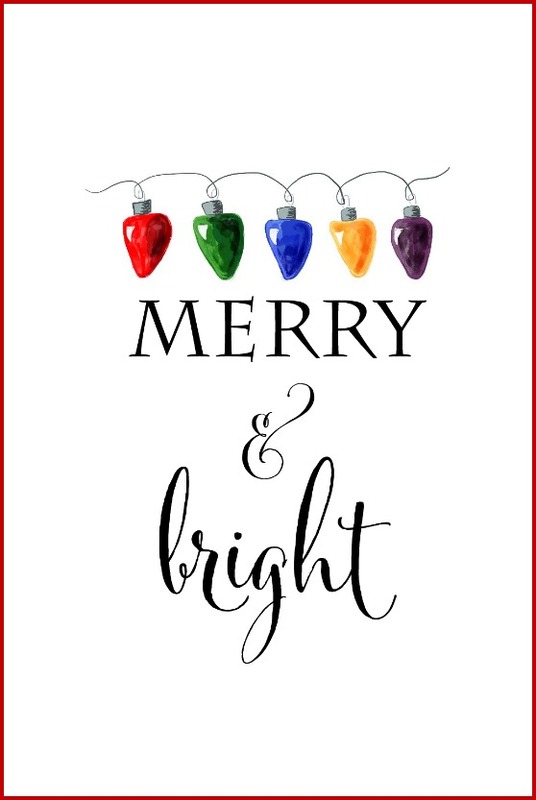 Have a wonderful holiday season with your family! 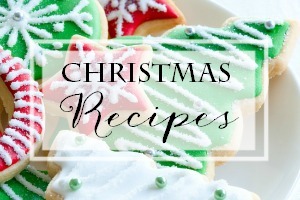 I haven’t started decorating yet either … but my daughter & I are currently baking cookies! Thanks for sharing these lovely prints — it should get me started on the decorating. Just want to thank you for the printables, they are so cute! 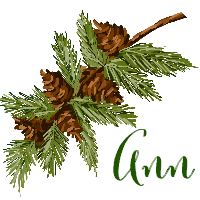 Also loved your Fall ones………..you gals are quite talented. Ann thanks so much for sharing these adorable prints. All downloaded and ready to print. Would you mind sharing the name of that awesome font you used on these and on your signature? hoping you could check your end. I loved my Thanksgiving picture which I put on my kitchen counter. Everybody commented on how cute and pretty it was. Thanks for sharing. I really think your site is the very best!! Hi Ann! 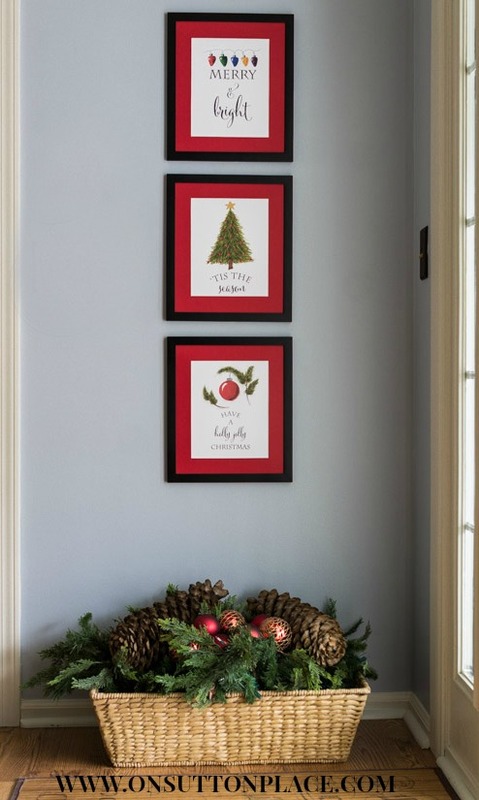 I really do like your printables this year and I especially like having a wall where seasonal displays are rotated in the same space (and thus saving on nail holes) throughout the year. We have a newly built home that is entirely wall papered and I am loath to put holes in the walls –so your display methods are encouraging me to possibly try some “command” hangers to see how they work on the wall paper (I live in Japan so this is not American wall paper)– as long as I can come up with a formula for that will work for me (as your 3 vertical space frames work for you). So thanks again for the inspiration. Have a wonderful Thanksgiving with your family gathered round. Thanks for these cheery graphics. I will definitely visit Tracey’s Etsy store. Have a wonderful and delicious Thanksgiving with your family. Ann, thanks so much for this beautiful and cheery printables! LOVE the designs! Have a wonderful and blessed time with your family. Happy Thanksgiving!!!! Love your new printables, Ann! Pinning and sharing! :) Wishing you and your family the BEST Thanksgiving! These are awesome – thanks Ann! These prints are so sweet. Thank you to Tracey and you for sharing these with us! You did a beautiful job and they look fabulous they way you have them displayed! Ann, your printables are so tastefully created. 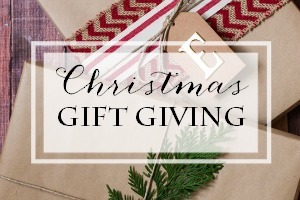 You have a gift for that! Love how they look framed and stacked on your wall. I plan to let Thanksgiving pass and pack the turkeys away before I pull out Christmas decor, but really look forward to having it out again. Happy Thanksgiving! Love them. Thanks for sharing! Thank you for the free art work. Ann, luv these ideas. Thanks for sharing. I can’t wait to print them out and frame them! Ann I ♥♥♥ these!! I just pinned your link!! Thank you for sharing your talents. I am also going to share it on FB. People need to see this!! Happy Thanksgiving!!! and let the Falalaing begin! Hi Kathysue! Thank you so much for your kind words and for sharing. I appreciate it so much. Hoping you and your family have a lovely Thanksgiving! Thank you for the cute prints!! Happy Thanksgiving to you and your family!! Thank you Ann! So tastefully simple and sweet! Thank you!!!!! Question what kind of paper did you use to print the Christmas prints? Hi Lori! I used white textured card stock. You can get it at any craft store in the scrapbook section. Regular paper would have worked too. Have fun! Thanks I went to hobby lobby and found some paper. Had a bit of a struggle to find the face color. I would either find a tan but did not look right, then found a pink but that was to pink. Then I found some light pink vellum paper.and it worked great!! Thanks for your post,I plan on making a number of then as Christmas cards. ( postcards ). Thanks so much Ann! Happy Sunday!!! They are all wonderful Ann. I hope to have time today to work on some new watercolor art for my home. I am pinning all of these :) Thanks for sharing!! I love the watercolor prints! They are PERFECT!!! I have the ideal spot for them. Have a wonderful day, and again, thank you for the wonderful items of inspiration you always come up with. Thank you Ann! 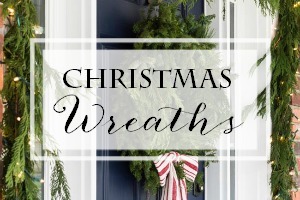 These are festive and an affordable way to decorate/change it up for Christmas! Enjoy your family this weekend. your printables are absolutely adorable, thank you so much. I’ll go for the tree!!!! So I’m in the middle of my preparations it’s perfect for me. Thank you so much for sharing your prints. They are beautiful.